Innkeepers Margit and Rob Wezwick welcome you to the Ash Street Inn, New Hampshire's premier bed and breakfast in Manchester. Located in the state's largest city, this urban inn boasts exciting 21st-century amenities combined with the original charm of an 1885 Victorian home. All rooms have queen-size beds and private bathrooms. Bliss Healing Arts of Maynard offers mind-body medicine, complementary healing techniques, and life coaching to maximize the well being of your mind, body, and spirit. Consider accessing Bliss services if you are dealing with a chronic illness, trying to lose weight or break a habit, looking to reduce your stress, or seeking to change your life. dogs. We want to be your veterinarian for Maynard. 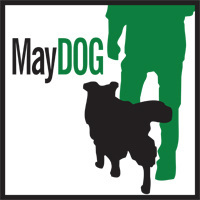 BENEFIT: 5% off veterinary services for MayDOG members. Pet and portrait photography s﻿peciali﻿zing on creating beautiful works of art with your two or four legged family as the subject. The quality of the images will be top of the line and it’s my goal is that you have an amazing experience that results in a memory for a lifetime. I’m sure you will be very pleased with the results. BENEFIT: Members receive a 10% discount off any session package and up to an additional 10% will be donated to support MayDOG. Fresh Trails is known for its excellence in dog walking, and pet sitting. We are fully licensed, insured and bonded. All our pet care givers have to go through a detailed background check. Please visit our web site. Our client references speak for themselves. Levine and Piro is a community focused law firm committed to providing exceptional services at affordable prices. They offer legal services in the areas of: Family Law, Estate Planning, Construction Law, Contract Disputes, and Criminal Matters. For 65 years, Tupperware has provided increasingly hectic families with necessary solutions for better living. Tupperware makes it easy to enjoy healthy meals, fun gatherings and organized homes while being kind to the environment. Be in touch with Sheri to learn more about how these products help make your life simpler and more delicious. Would you like to be recognized here? Just go to our online donation page. Donations of $70 or more will get your name listed as a business supporter.